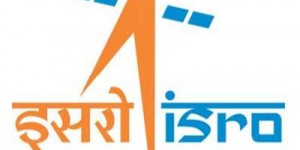 Jobs Details :- Application are invited for the Posts of Graduate, Technician Apprentice in Liquid Propulsion Systems Centre (ISRO) . Qualifications : First Class Bachelor’s Degree in Mechanical Engineering from a recognized University.First Class Bachelor’s Degree in Instrumentation Engineering from a recognized University.Bachelor’s Degree + First Class Degree in Library Science / Library & Information Science.First Class Diploma in Computer Engineering from a recognized Board. Total Number Of Post : 210 Posts. Age Limit : 26-35 Years. Pay Scale : Rs.3000-5000/- Per Month. How to Apply : Candidates can register their applications online only from 11-06-2012 14:00 hrs to 20-06-2012 14:00 hrs. One printed copy of the Declarationgenerated after registering the ON-LINE application, duly affixing a passport size Photograph may be sent along with the attested copies of mark-lists/certificates to the following address so as to reach on or before 27.06.2012failing which the application registered on-line will not be considered. Administrative Officer Recruitment Section Liquid Propulsion Systems Centre Valiamala Po Thiruvananthapuram – 695 547.